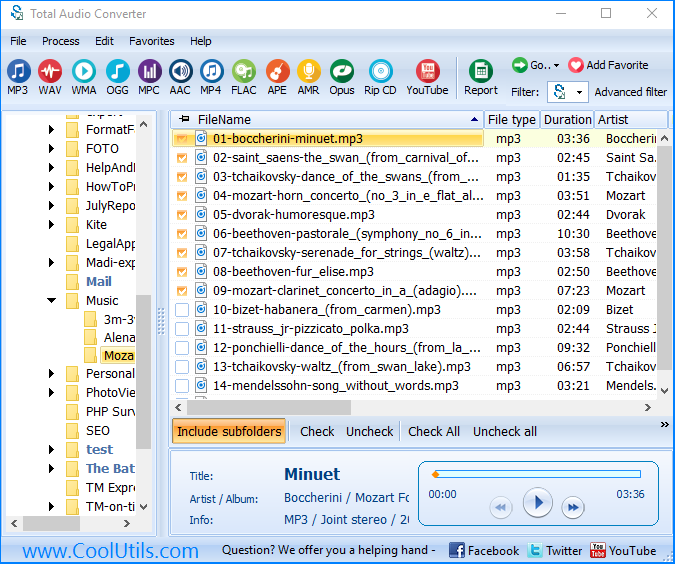 You are here: CoolUtils > Total Audio Converter > Convert MID to MP3 professionally. Source file list is formed by checking off required MID tracks from the content list. If there are files of different formats, it will be reasonable to filter MID files by applying *.mid mask. After this you will see all MID files from the chosen folder listed in order. Check off the ones you need to convert and press MP3 in ‘Convert to:’ bar. You will see the settings list appeared. 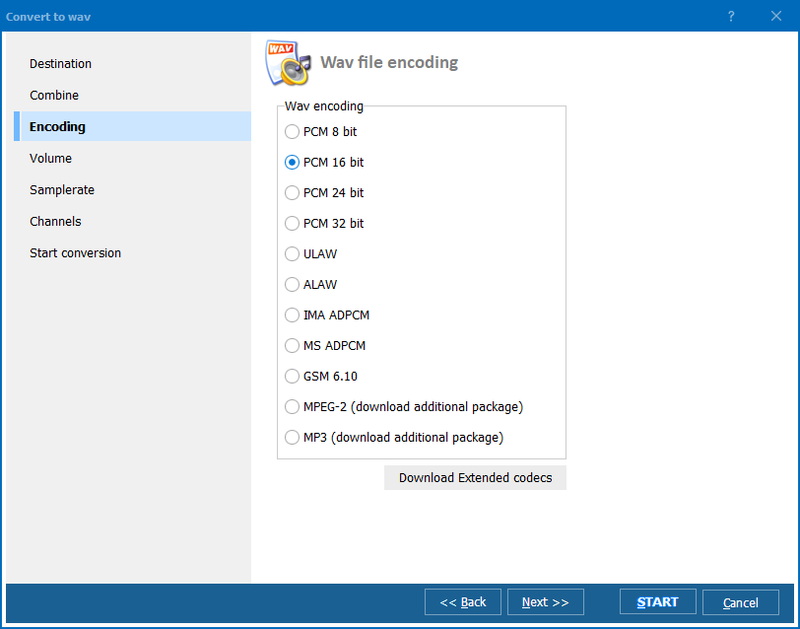 This MID MP3 software for converting audio tracks offers a big set of adjustable audio parameters, so you are able to get the required quality of sounding for MP3 copies. 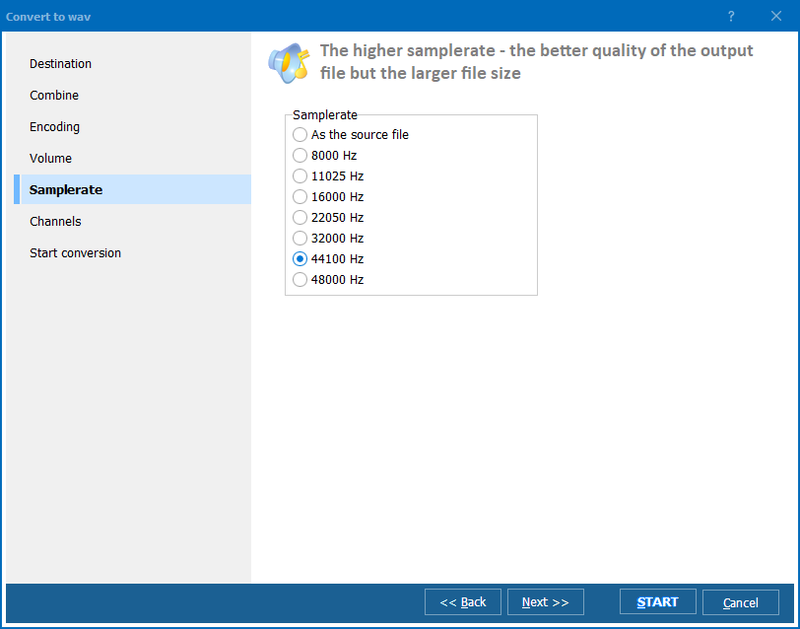 Choose specific samplerate and bitrate, sound channels. 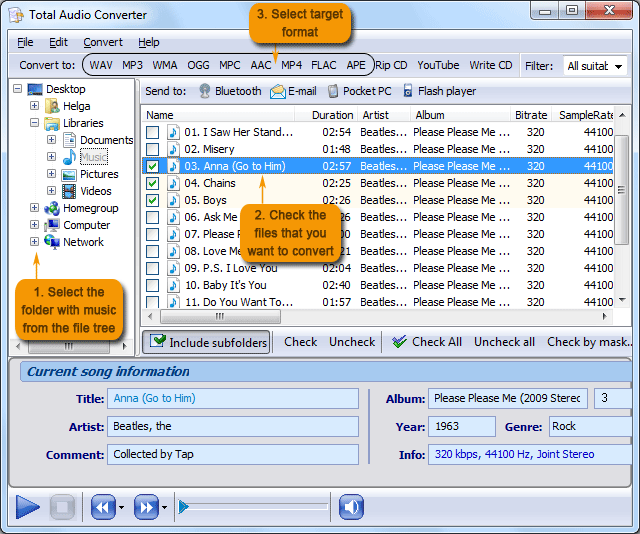 When converting a few files, you can combine them in one MP3 track by checking ‘Combine album’ option. You can use only the settings you need, skipping the rest. 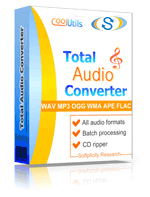 Also you are able to convert files with settings offered in this audio converter by default.